I don't know what it is about fall but everyone seems to love it. The cool breeze, the leaves falling, the pumpkins, it all makes everyone is more of a cheerful and spirited mood. One of my favorite things about fall (other than Halloween) is sweater weather! I am that coworker in the office that's always complaining about being cold, even with the heater turned up, so you can bet that when the weather gets cooler enough for sweaters to be acceptable to wear, I am thrilled. I did a post last year about my favorite fall things and I thought, heck-why not, I'll do one this year. This year, I didn't want to make this one as long as the previous ones, so I'll do my top 3 fall fashion choices! 1. Flannel. Squares? Heck yes! I don't know who thought of this as being a trend but I'm glad they did. Nowadays, you can find any flannel colors from red to green to yellow and they pretty much just scream fall. If I am trying to have a fall themed outfit, the colors of flannel I try to get directly match the colors of fall - red, green, yellow. Although, I don't actually own a yellow flannel yet but I am on the hunt for one - if you know of any great ones, shoot me a message! 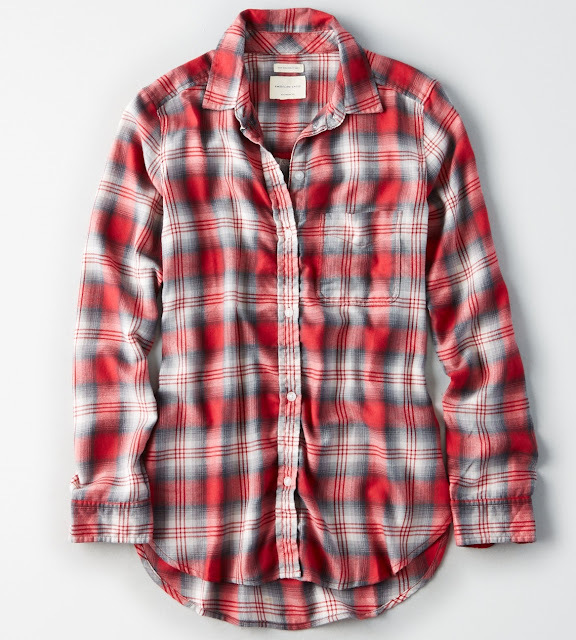 The one I am wearing in the picture above is the Ahh-Mazingly Soft Plaid Boyfriend Button Up Shirt by American Eagle. It is literally the softest plaid shirt ever. The color I am wearing is no longer available but they do have a white one, a purple one, and a red one, and if I had to pick out of those 3, I would get the red one! I actually got mine at Marshalls for $12.99 and the only size they had was XL but it was just so soft that I couldn't pass it up, so I bought it! 2. Suede Skirts. For some reason, when the weather gets cooler, us girls have decided to wear skirts and made it a fashion statement. (I think this trend must've started in a warmer state that doesn't really have fall weather so it's acceptable to wear a skirt). In Colorado, one day it can be 50 degrees and the next 80. With this kind of drastic weather change, it can be okay to look fashionable. The skirts that are in right now are mostly mustard yellow, maroon, and even a forest green. I've got 2 outta 3 so far! The ones I bought were from Old Navy and the colors I got were 'Makes Cents' and 'Reddy or Not'! They have shipped as of last week and I should be getting them sometime this week. I will do a blog post later on with just the skirts/outfits and let you know my honest thoughts. 3. 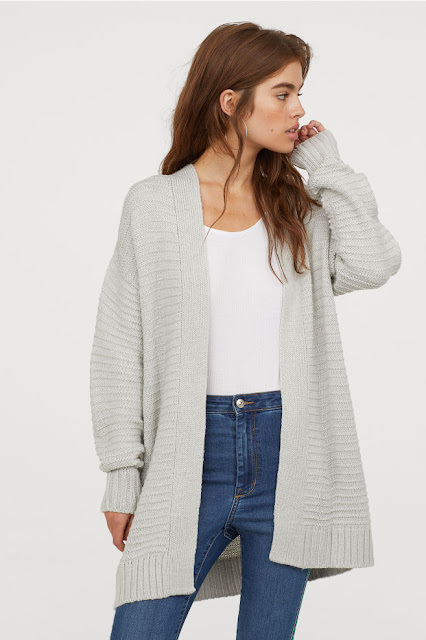 Cardigans. I also wanted to somewhat include vests in this, but cardigans have been in style forever for fall. They are lightweight enough for you not to sweat during the day, but also keep you warm in your office so you can't complain that it's cold (me!). The ones I truly love are the over-sized ones and even if I can't find one that's over-sized, I just find a regular sized one and go up a couple sizes. The ones I have been getting are black/white patterned or some sort of rusty colors like rusty pink or mustard. As summer starts to fade, so do the colors outside and fashion has seemed to match the mood. 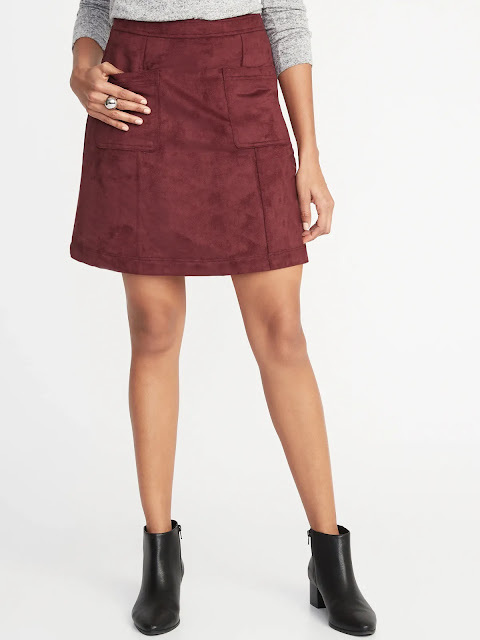 The ones I have are pretty much from Gordmans but because they don't have an online store, I can't link it :( So, instead, I found a cute one from H&M online that I really like (and actually just might buy!). There you have it! My top 3 fall favorites! I know it isn't much but I will try to do some looks that include all of them so you are able to get a sense and some inspiration for your own fall looks! I will be posting my looks later this month! 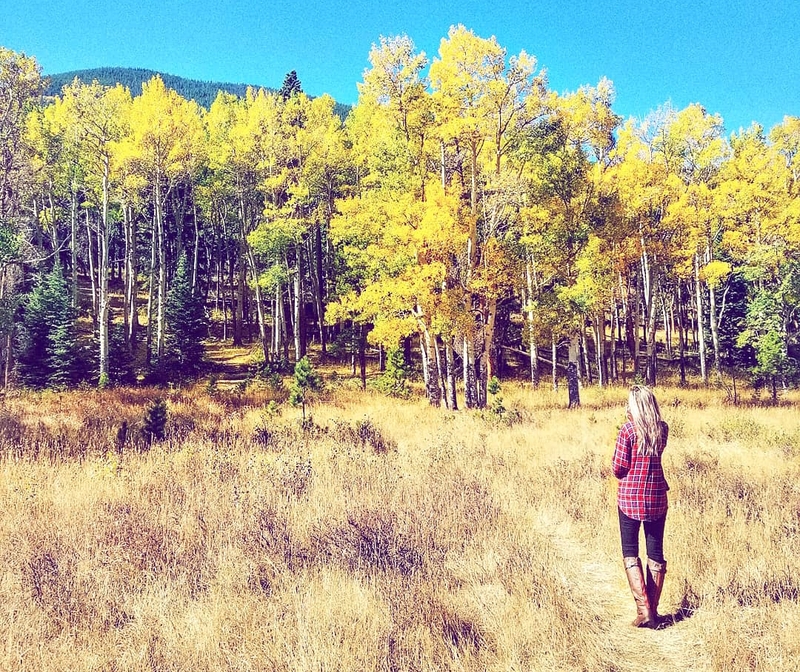 What are your fall top 3 must-haves? !